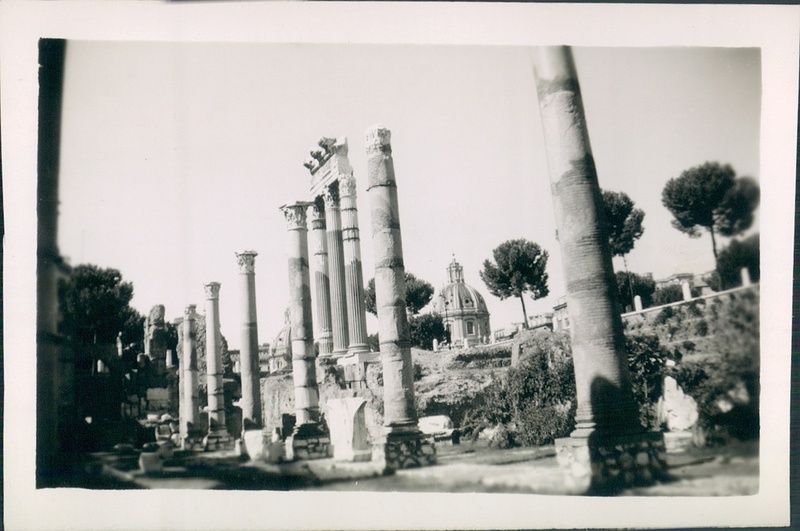 A few weeks ago I stumbled onto a treasure trove of family photos. 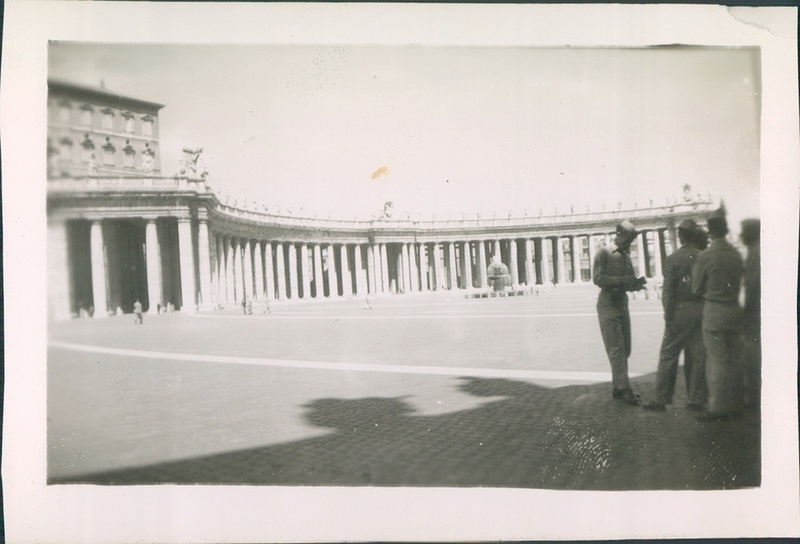 Photographs of my great grandfather, my grandmother when she was young, and my Grandfather's never before seen photos from World War 2. This stopped my entire family in their tracks as we tried to rebuild our story. Page may load slowly, give it a second. Click any image for a larger version. Joseph Acquiste [my great grandfather] as a young man. 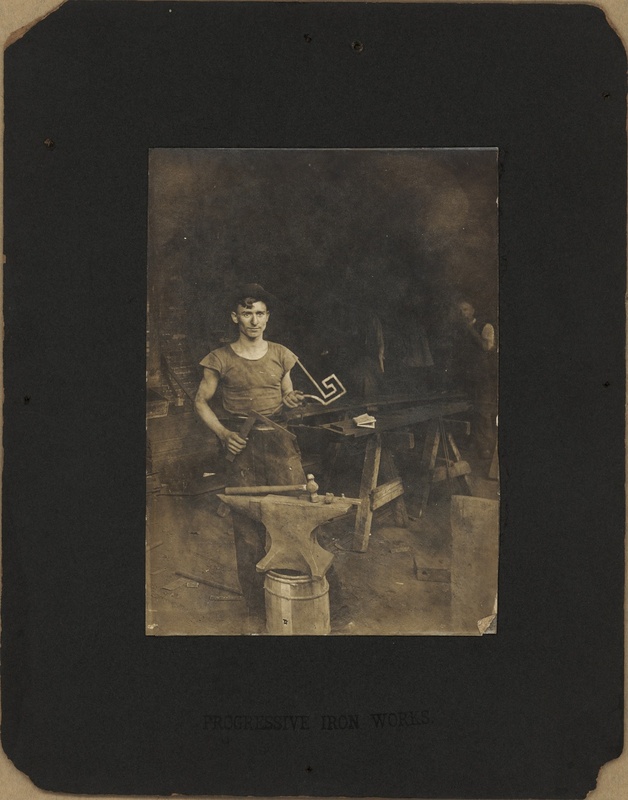 Joseph Acquiste, blacksmith at Progressive Iron Works. Joseph Acquiste, wife Lucy, and first child Mildred. First garage with indoor car lift, owner William 'Willy' Acquiste [far right]. Joseph changed to William to be more American. Joseph 'Willy' Acquiste [far right] and his crew working on NY Transit system. Lucy Acquiste [mother], oldest daughter Mildred, in arms Rosalie [my grandmother]. Either Mildred or Rosalie on the left, cousin on the right. Using bits of information: years, locations, these new found photos, and a good bit of research on our part, his story unfolded. 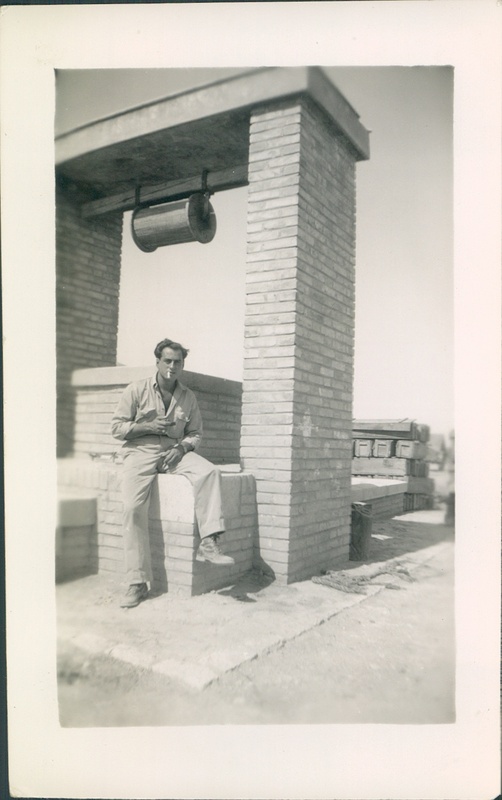 My grandfather served as a bomber mechanic supporting the 99th Bombardment Group of the 15th Air Force. Wikipedia has a nice entry on the squadron, and Thunder from the South, the veterans group is also pretty informative. My grandfather, Ernest Carbone [right] sparring with Pete Sanstol[left], prize fighter. A boxer who emerged during the "Golden Age of Bantamweight Boxing" of the 1920s. 1931 Sanstol won the World Bantamweight Title, successfully defending it several times. Sanstol was later inducted into the World Boxing Hall of Fame in 2000. Youtube video of Pete boxing in 1935. Boeing Aircraft Training Center, Barrack 119. 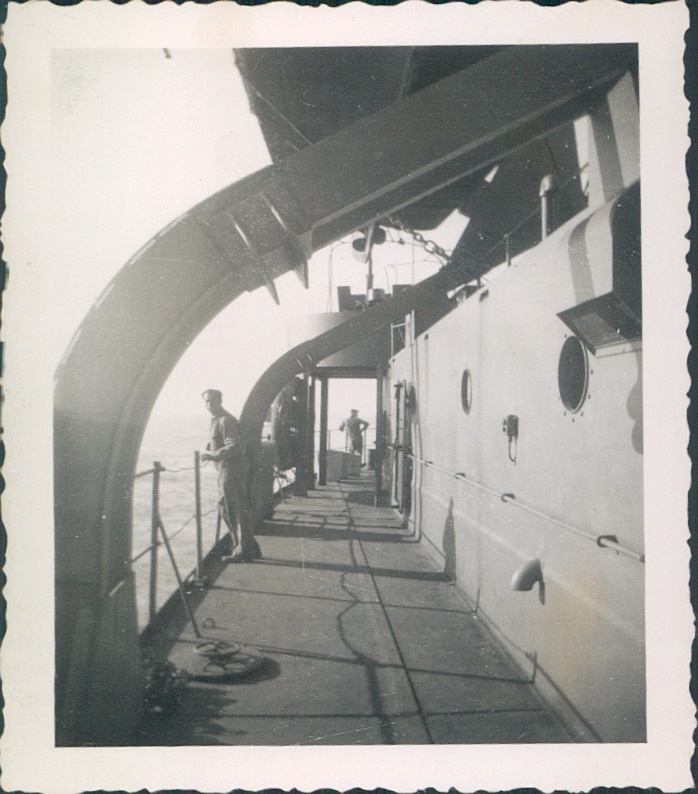 Ground and support personnel and equipment made the journey by ship. Upon arrival in North Africa, the 99th was attached to the 5th Bombardment Wing of Twelfth Air Force, and was stationed at Navarin, located near Constantine, Algeria. The group came to be referred to as the Diamondbacks, due to a diamond insignia painted on the vertical stabilizer of their B-17s. Transit to Algeria & Tunisia. 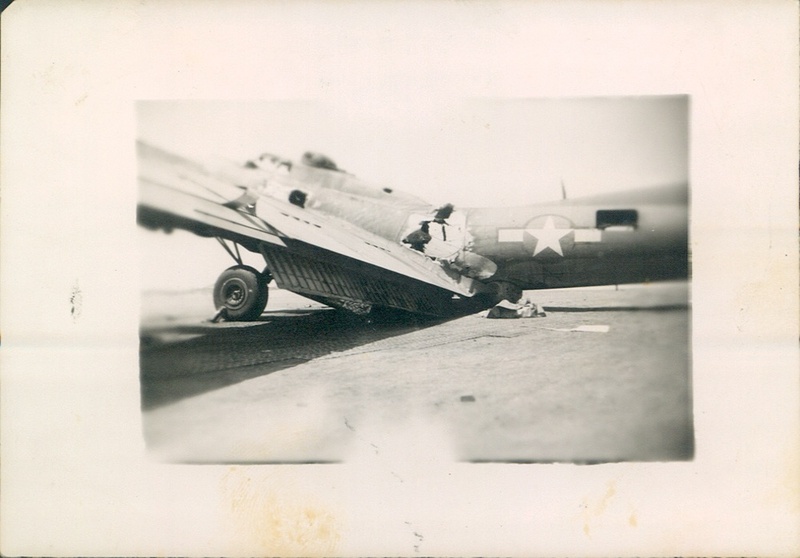 B-17 Bomber, 99th Army Air Base Wing. Carbone [foreground] working on B17 bomber. On November 2, 1943, the four B-17 groups of the 5th Wing and two B-24 groups of the 9th Air Force were combined with two fighter groups to form the new 15th Air Force. 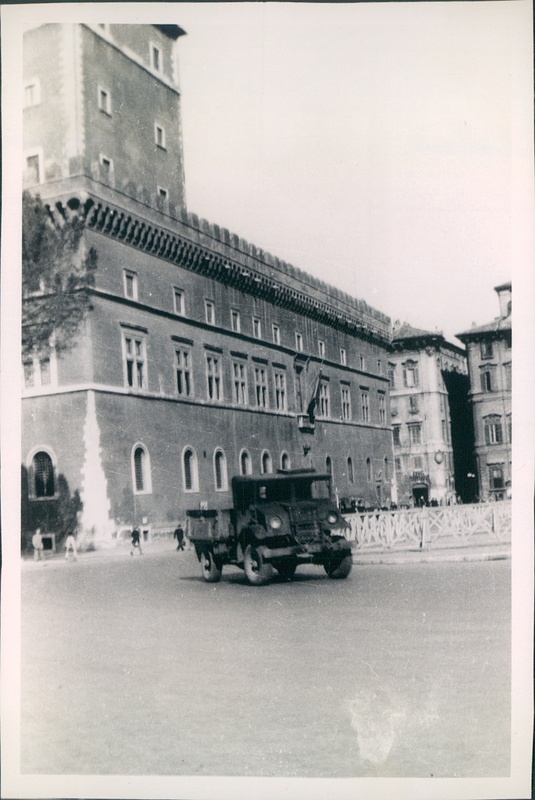 With the Allied advancement up the boot of Italy, it was decided to relocate the 5th Wing there in order to bring more Axis targets within reach of the bombers. Each group was assigned a base on the Foggia plains, the 99th being stationed at Tortorella. The planes arrived at Tortorella in December of 1943. Living conditions at Tortorella were very harsh. The summers were hot and dusty, the winters cold and wet. Buildings were few, and airplane maintenance crews worked out in the open. The men lived in tents using homemade gasoline stoves for heat. The men constantly had to struggle through mud and water, snow and ice, or choking dust, depending on the season. "My country home with a few extensions." - E. Carbone. Carbone [top], in the engine. 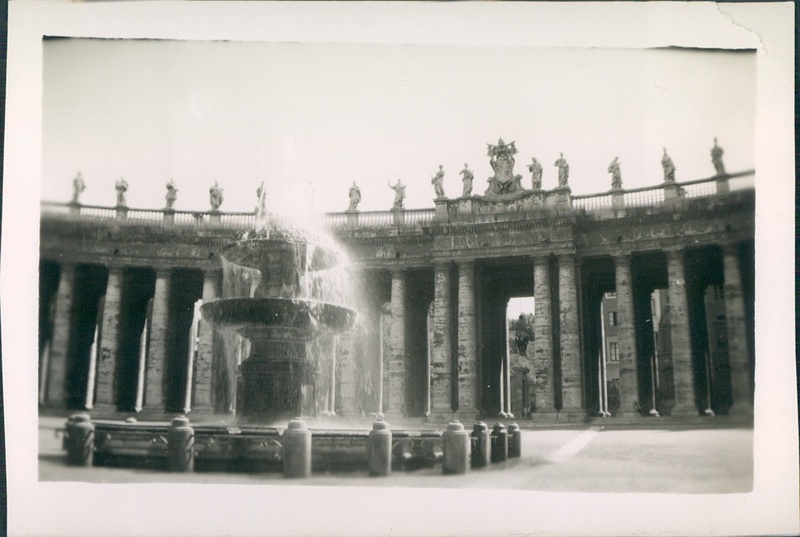 One of the few WW2 photos I had seen before. 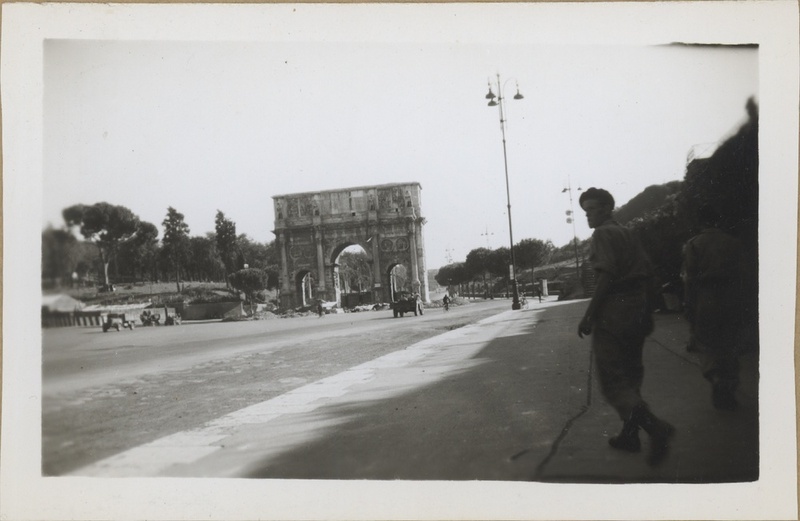 It would seem, Gramps had a nice time in Rome. Rosalie [my grandmother], father William [Joe], and friend. Ernest & Rosalie Carbone, Wedding day. Pictured: Ernest, Rosalie [front]. Back: Frank Carbone [left], Detommaso boys [cousins, right]. Ernest Carbone and son 'little' Ernie [my father] at Staten Island Zoo. Cousins Mildred, Lou, and children[background]. 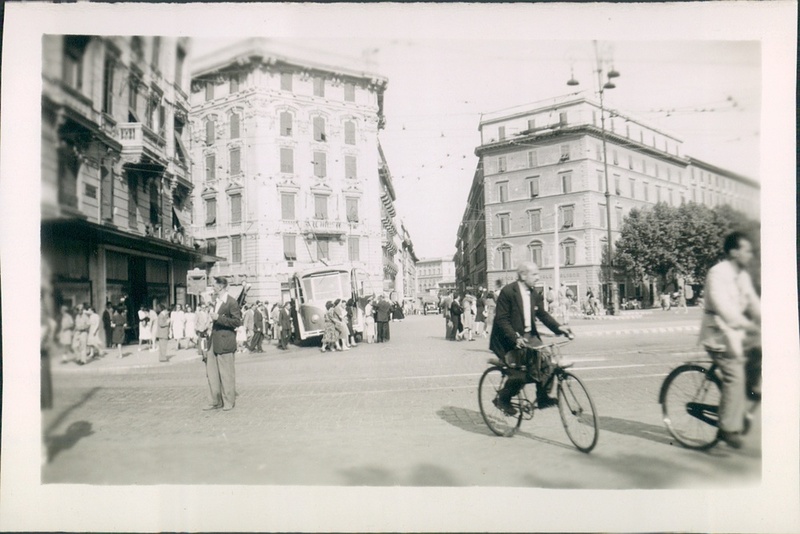 Ernest Carbone and son Ernie Jr.
Joseph Acquiste, on motorcycle he built and toured Italy on.